Asked whether he thought Saudi Arabia's explanation for the death of Jamal Khashoggi was credible, President Trump said "I do. I do." But Sen. Lindsey Graham, a Trump supporter, and other lawmakers are expressing skepticism about Saudi Arabia saying that the Saudi writer and critic of the royal family died during a "fistfight" in the Saudi Consulate in Istanbul. The Republican Graham tweeted: "To say that I am skeptical of the new Saudi narrative about Mr. Khashoggi is an understatement." Trump says that he'll work with Congress on the U.S. response to Khashoggi's death but that he'd rather not see billions of dollars in arms sales with the kingdom cancelled because that would cost American hundreds of thousands of jobs. President Donald Trump says Saudi Arabia's announcement of arrests in the death of journalist Jamal Khashoggi is a "good first step," but that what happened there is "unacceptable." Trump said Friday that he wants to talk to the Saudi crown prince before next steps are taken. He says it's important that Saudi Arabia made arrests. Trump says that he'll work with Congress on what the U.S. response should be, but that he'd prefer not to hurt American companies and jobs by cutting billions of dollars in arms sales to the kingdom. He says the death of Khashoggi was a "horrible event" that has not gone "unnoticed." Trump spoke during a defense roundtable at Luke Air Force Base in Arizona, where he holding a political rally. A high-ranking Democratic lawmaker in the United States is expressing doubts about the credibility of Saudi Arabia's explanation that Jamal Khashoggi was killed in a fight inside the Saudi consulate in Istanbul. California Rep. Adam Schiff, the ranking Democrat on the House intelligence committee, said Friday that Saudi Arabia's claim that he was "killed while brawling with a team of more than a dozen dispatched from Saudi Arabia is not credible." Schiff says that if Khashoggi was fighting inside the consulate, he was "fighting for his life with people sent to capture or kill him." He says if Trump's Republican administration won't hold Saudi Arabia accountable for Khashoggi's death, Congress will. Trump has previously warned against jumping to conclusions that Saudi Arabia was responsible for Khashoggi's disappearance. The White House is acknowledging the announcement from Saudi Arabia that journalist Jamal Khashoggi is dead and that 18 Saudi nationals are in custody on suspicion of involvement in his death. In a statement Friday night, White House press secretary Sarah Huckabee Sanders says the U.S. will closely follow international investigations into Khashoggi's death and will advocate for justice that is "timely, transparent and in accordance with all due process." 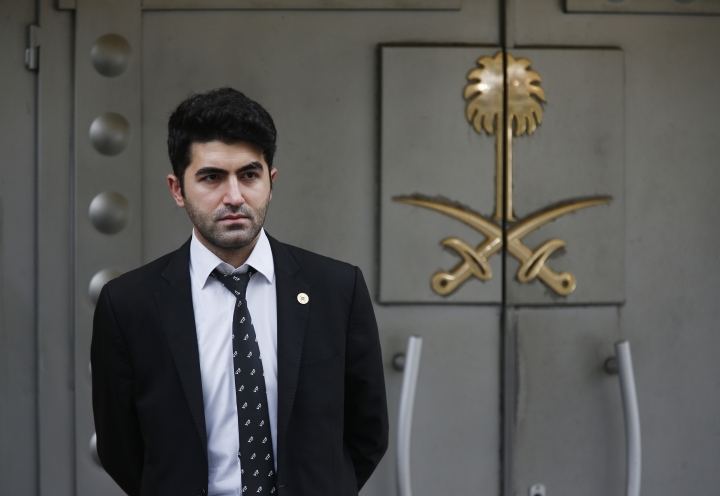 Saudi state-run media reported that prosecutors believe The Washington Post columnist was killed in the Saudi consulate in Istanbul in a quarrel. He was last seen Oct. 2. Turkish officials previously said they believe Khashoggi was dismembered. He was a critic of Saudi Crown Prince Mohammed bin Salman. The White House offered condolences to his family, fiancee and friends. Saudi Arabia's state-run news agency says King Salman now has a proposal on the "urgent need" to restructure the kingdom's intelligence services after the slaying of Saudi writer Jamal Khashoggi at the Saudi Consulate in Istanbul. Saudi state-run media is reporting that prosecutors in the kingdom believe Saudi writer Jamal Khashoggi was killed in the Saudi Consulate in Istanbul in a quarrel. State media also quotes prosecutors as saying 18 Saudi nationals are being held on suspicion of being involved in the Washington Post columnist's death. President Donald Trump says he could consider sanctions against Saudi Arabia over missing Saudi journalist Jamal Khashoggi. Trump told reporters after signing a presidential memo in Arizona on Friday that he'll involve Congress in any decision. But he says he'll be making "certain recommendations." He says that it's still "too early" to determine potential consequences but that he expects to know more by Monday. He says: "We're going to find out who knew what when and where and we'll figure it out." 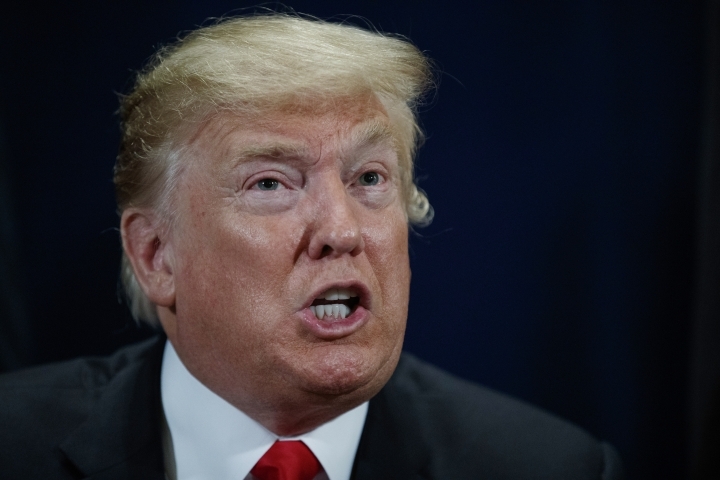 Trump acknowledged Thursday that it "certainly looks" like Khashoggi is dead and threatened "very severe" consequences if the Saudis are found to have killed him. The journalist's disappearance has sparked global outrage and threatened the U.S.-Saudi relationship. He was last seen going into the Saudi consulate in Istanbul on Oct. 2. Secretary of State Mike Pompeo says the Trump administration will consider a "wide range" of responses if it is determined that Saudi leaders or officials played a role in the alleged murder of U.S.- based journalist Jamal Khashoggi. Pompeo declined to comment on what the options might be and stressed that it is not yet certain exactly happened to Khashoggi after he entered the Saudi consulate in Istanbul, Turkey more than two weeks ago. Amid Turkish reports that Khashoggi was brutally killed and dismembered by a Saudi hit squad with links to Crown Prince Mohammed bin Salman, President Donald Trump has said he believes it is likely the Washington Post contributor is dead. Pompeo would not speculate on Khashoggi's fate but said he told Prince Mohammed and other Saudi officials in Riyadh this week that the U.S. does not "approve of extrajudicial killings." He said he told the Saudis that that kind of activity is not "consistent with American values" and that it was their responsibility to get to the bottom of what happened in their consulate. Pompeo made his comments in an interview Friday with the Voice of America while on a trip to Mexico. 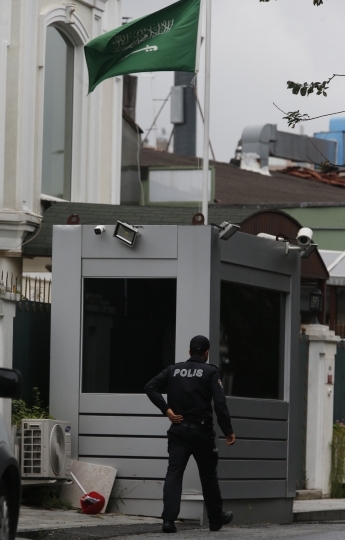 Turkey's state-run Anadolu news agency says prosecutors are questioning a number of employees of the Saudi Consulate in Istanbul over the disappearance of Saudi journalist Jamal Khashoggi. Private A Haber TV said as many as 15 employees were being questioned on Friday. The station said they included the consul's driver, technicians, accountants and telephone operators. Khashoggi was last seen entering the consulate on Oct. 2. Turkish reports say Khashoggi was murdered and dismembered inside the consulate by members of an assassination squad with ties to Saudi Crown Prince Mohammed bin Salman. The Saudis have dismissed those reports as baseless. Earlier, an Associated Press journalist witnessed a group of people leaving the building, getting into a van belonging to the Saudi mission and being driven away. A former head of Britain's MI6 overseas intelligence agency says missing Saudi journalist Jamal Khashoggi was probably killed on the orders of people close to Crown Prince Mohammed bin Salman. Sawers told the BBC that "I don't think he would have done this if he hadn't thought he had license from the U.S. administration to frankly behave as he wished to do so." Sawyers said the fate of Khashoggi — whom Turkish authorities say was killed inside Saudi Arabia's consulate in Istanbul — was a wake-up call to the Trump administration about "just how dangerous it is to have people acting with a sense that they have impunity in their relationship with United States." Turkey's foreign minister says his country has not shared any audio recordings from Saudi journalist Jamal Khashoggi's disappearance with U.S. officials. 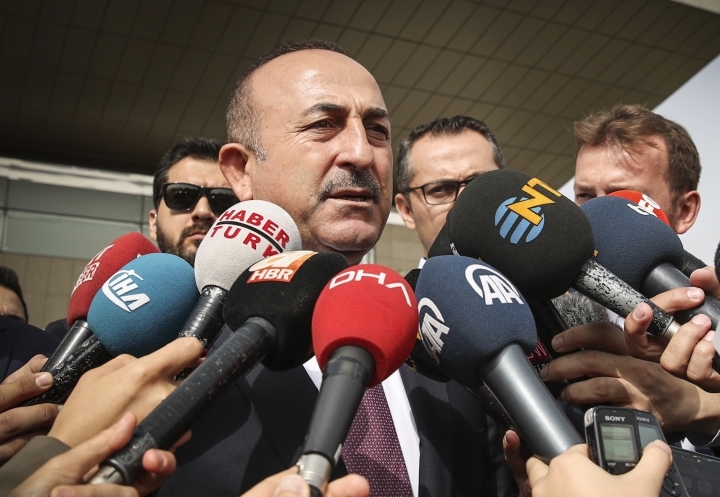 The state-run Anadolu Agency also quoted the minister, Mevlut Cavusoglu, as saying that Turkey would share "with the world" the results of its investigation into Khashoggi's disappearance. Khashoggi vanished on Oct. 2 after entering the Saudi Consulate in Istanbul. Cavusoglu made the comments during a visit to Albania on Friday. A report on Wednesday by the pro-government newspaper Yeni Safak, citing what it described as an audio recording of Khashoggi's slaying, said a Saudi team accosted the 60-year-old journalist after he entered the consulate, cutting off his fingers and later decapitating him. A Turkish official says investigators are assessing the possibility whether the remains of missing Saudi journalist Jamal Khashoggi may have been taken to a forest in the outskirts of Istanbul or to another city, if and after he was killed inside the diplomatic mission earlier this month. 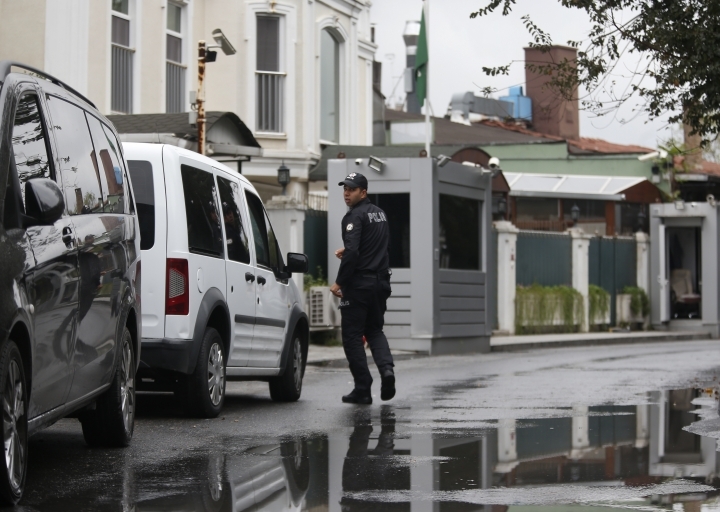 The official told The Associated Press on Friday that police have established that two vehicles belonging to the Saudi consulate left the building on Oct. 2 — the day Khashoggi had walked into the consulate and vanished. The official says one vehicle went to the Belgrade Forest outside Istanbul while the other traveled to the city of Yalova. It's unclear if police had already searched these areas.